After shampooing, massage the conditioner into the hair. Leave on for 1-3 minutes and then rinse. As it is quite a thick cream, you may find yourself needing a little extra to spread it out throughout the hair. In the past I have also used the Strengthening Peppermint Conditioner by Avalon Organics (to go with the Strengthening Peppermint Shampoo which I have reviewed on the blog a while back), but I found that it left my scalp quite dry and itchy. Thankfully though, I haven't had any such issues with this Volumizing Rosemary one, with it instead adding a nice shot of moisture and shine. It leaves the hair feeling super soft and bouncy, with the effect amplified if you use it in conjunction with the Volumizing Rosemary Shampoo. I adore the smell of rosemary, so naturally I love the smell of this. It's not full on rosemary, but it is herby and fresh. As mentioned above, I find that you do need to use a fair amount to cover the hair sufficiently, so it will definitely create that typical "run out of conditioner before the shampoo" type of situation as you barely need any of the shampoo to create a good lather in comparison. It rinses easily which is good. I usually find that thicker products take longer to rinse, especially one that you need to use a fair bit of at once, but this isn’t the case here at all. Overall, I really like this Volumizing Rosemary Conditioner. As well as working well, I feel comforted knowing that it is free of nasty chemicals and is kinder for the environment. It is one of the nicest and gentle natural conditioners that I have used yet. If you are looking for a new, natural conditioner that adds some volume, I do recommend giving this one a go. In addition, I also recommend InstaNatural's Argan Oil Hair Treatment and Elixir that also adds a nice volume boost if you use it overnight a couple of nights a week. 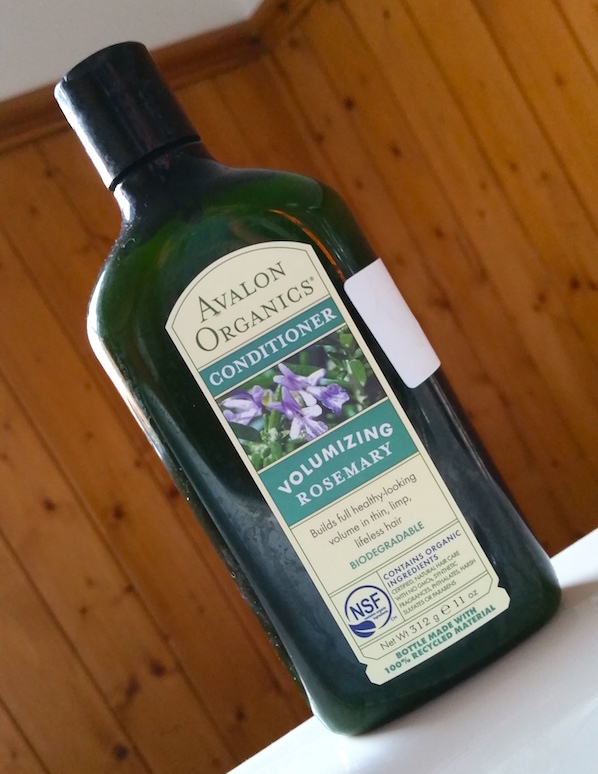 You can purchase the Avalon Organics Volumizing Rosemary Condtioner for £5.99/312ml from Holland & Barrett (but at the time of writing it is 33% off, reducing the price to only £4.01), or for $7.95/11oz on Amazon if you are in the US. 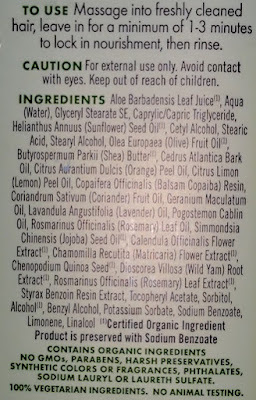 What are your thoughts on the Avalon Organics Volumizing Rosemary Conditioner? What's your favourite natural volumising product?